2. use our brand name. 3. 5-10pcs in a shrink package, then in a carton box. 7. 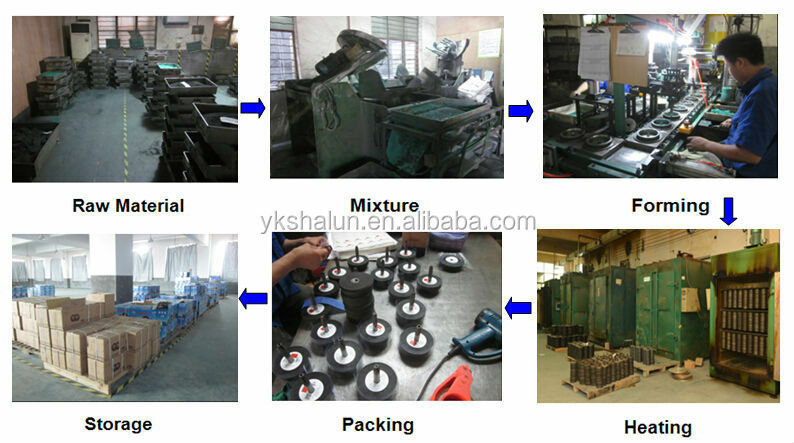 Strict quality testing,good after-sale service. 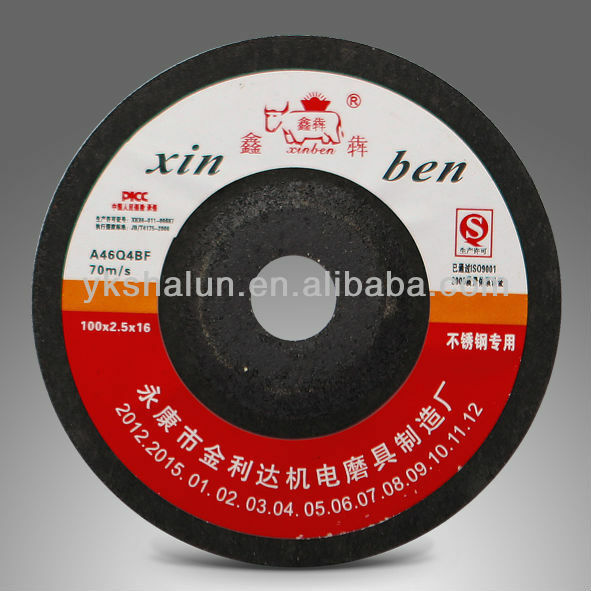 A1: we are manufacturer, professional manufacture cutting & grinding wheel over 20 years, located in hardware capital ——–Yongkang, Zhejiang. Q2: do you have any safe certifications? 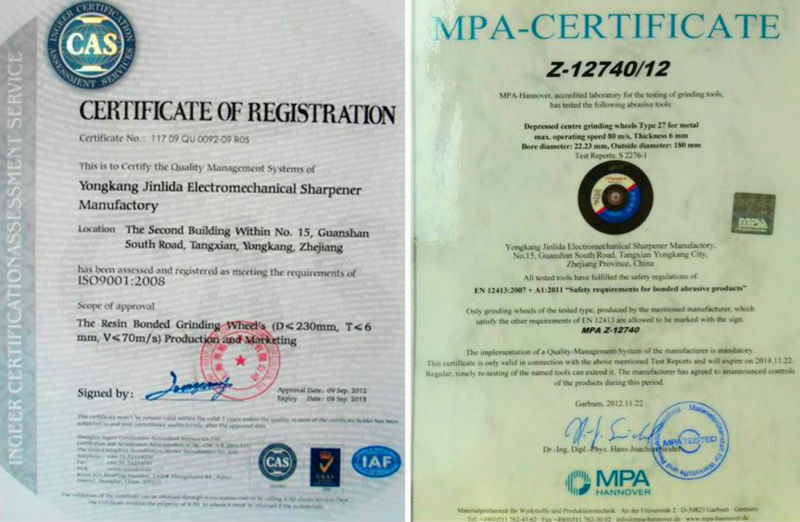 A2: yes, we have ISO 9001, MPA EN12413, and PICC insurance. 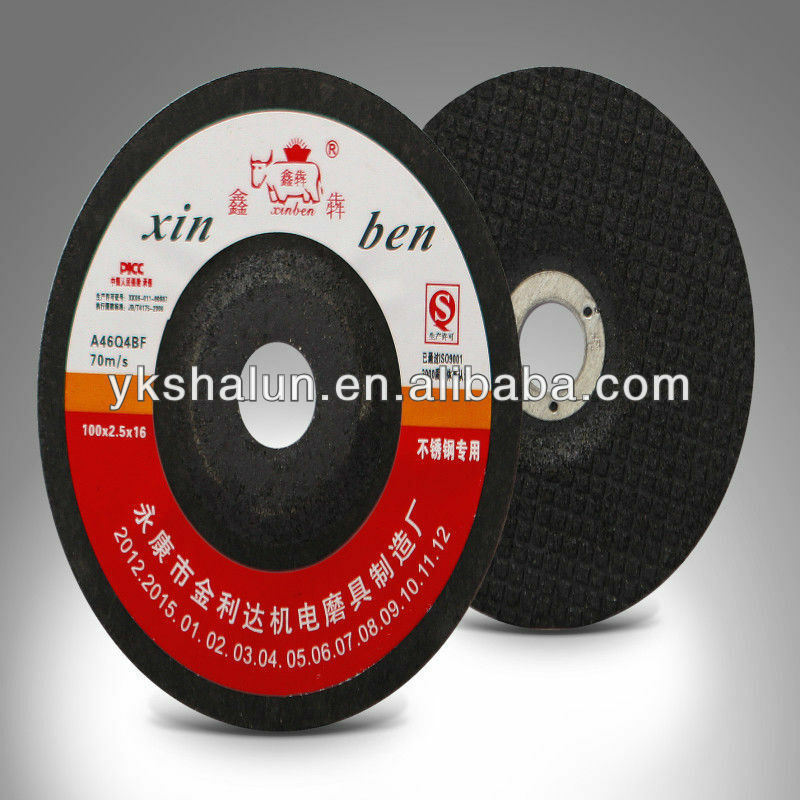 Q3: What’s your application for cutting & grinding discs? 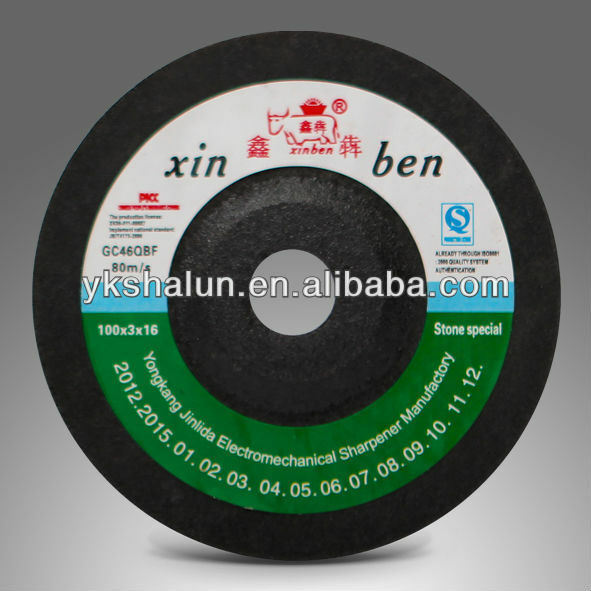 A3: Used for metal, stone, stainless steel, carbon steel, cast iron and so on. Q4: What package do you use? Can accept OEM order. 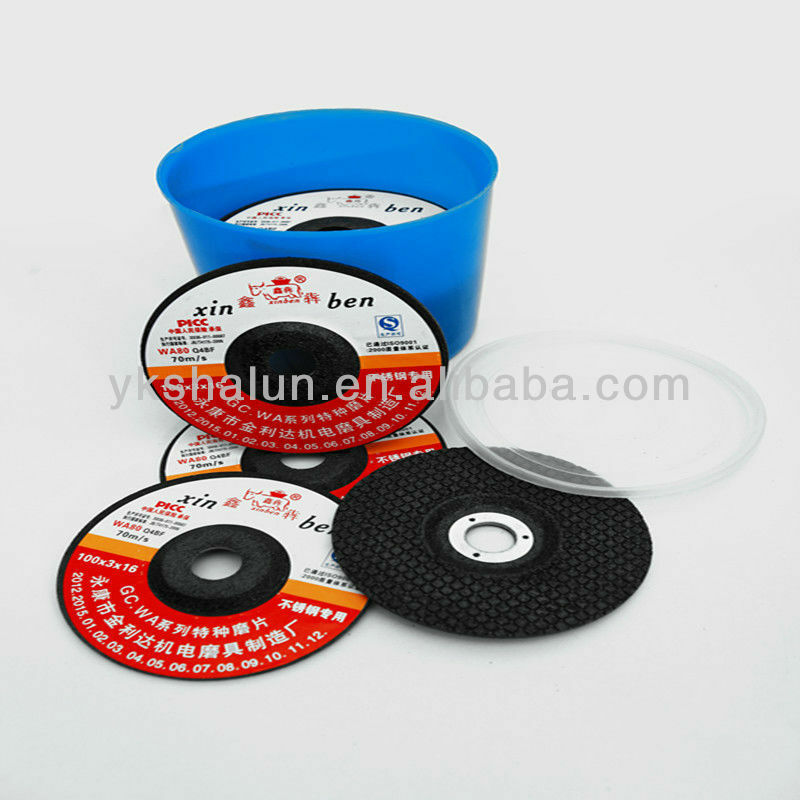 A4: usually, packing as shrink + neutral inner box + standard export carton, we also accept OEM order, label and package as customers’ requirements. Q5: Can you provide free samples? A5: Yes, we can provide free samples, but samples freight belongs to clients. Q6: What’s your daily output? How long is delivery time? A6:150000 pcs per day for daily products output, 15-25 days after confirmed order.